Can be used everyday with a proper skincare at the end of the day. 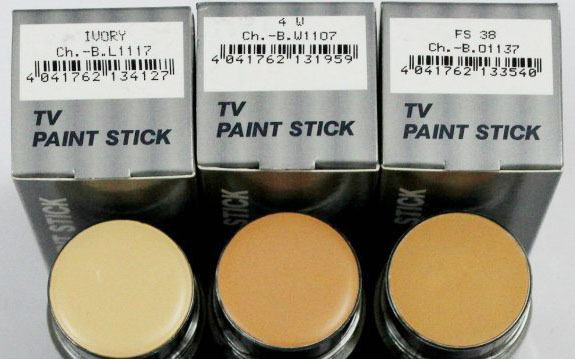 TV Paint Stick is a cream make up made from a composition of oils and natural waxes containing FDA approved colour pigments - plus the added benefit of vitamin E.
It is an excellent foundation with very reliable beard covering properties. 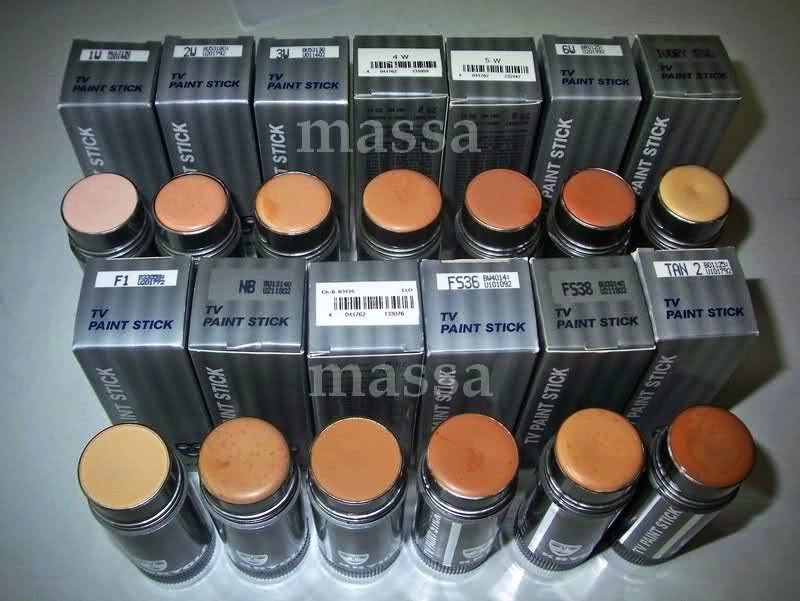 It comes in a mess-free 25ml twist up container that enables easy application, you then simply blend evenly with a cosmetic latex sponge. 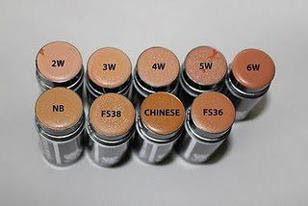 As it is actually theatrical make up, it is designed to withstand the heat of theatre or studio lights. 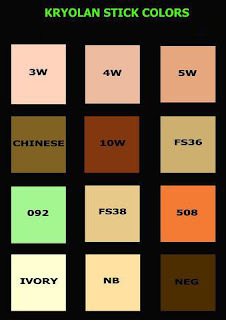 This can be invaluable when wearing a wig, tights and a corset (as well as having the possible symptom of nerves) as all these things can make you hot and sweaty - with TV Paintstick you will not lose coverage on the moustache area, where men traditionally sweat. 1. 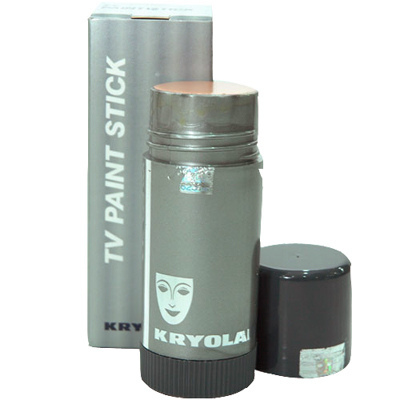 Before wear Kryolan TV paint stick, start with your daily skincare such as cleanser, moisturizer, primer etc. 3. Finish off with Kryolan Translucent Powder for a smooth and flawless effect. 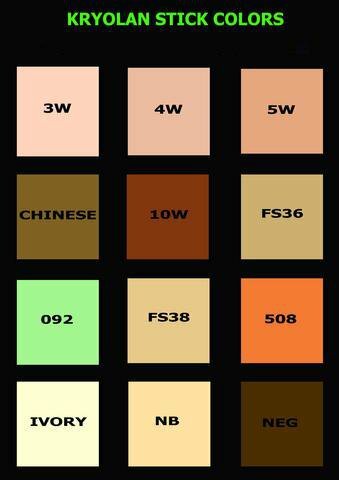 I recommend that you use 2 different shades to create a perfect base that will cover any beard shadow effectively. For example: Apply 3w all over the face area and blend. Then apply a shade darker over the beard area. This will not appear darker but will actually match the skin tones between the beard area and the rest of the face, as the beard area can still appear a greyish or blueish white just with the first application. 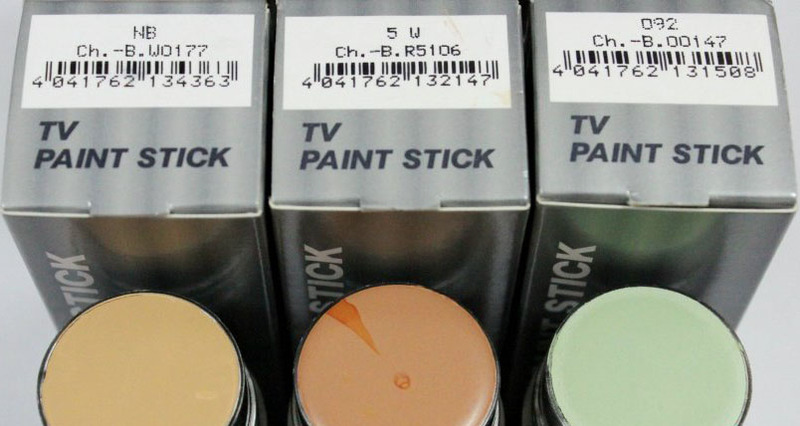 TV Paint Stick adalah krim yang dibuat dari komposisi minyak dan lilin semulajadi yang mengandungi diluluskan oleh FDA pigmen warna - ditambah manfaat vitamin E.
Ia adalah asas yang sangat baik dengan ciri-ciri liputannya sangat dipercayai. Digunakan dalam teater kerana ia direka untuk menahan haba lampu teater atau studio. 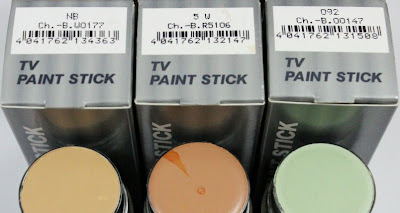 Foundation ini sangat berguna dikala anda memakai rambut palsu, pakaian ketat dan korset kerana semua perkara ini boleh membuat anda rasa panas dan berpeluh - dengan Paintstick TV anda tidak akan kehilangan liputan serta tidak mempunyai misai apabila berpeluh. Terutamanya lelaki! 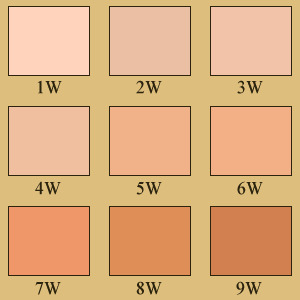 10w/neg (warna gelap) – digunakan untuk shading dan membentuk wajah. 1. Sebelum mengenakan foundation, mulai dengan skincare harian anda seperti cleansing, mosturizing, etc. 3. Disudahi dengan Kryolan Translucent Powder untuk hasil yang halus dan licin. 4. Setelah sampai kerumah, bersihkan muka anda dengan oil remover serta pencuci muka.